The default timesheet view used to be Group by Date. 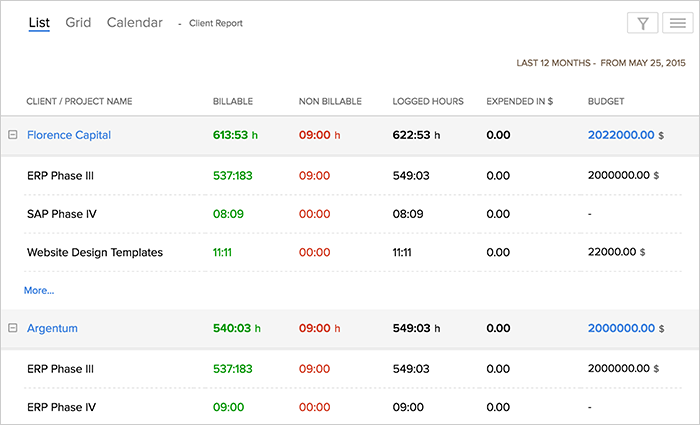 If you are the admin or manager of a large team, you may often want to see the timesheet reports for each of your employees working across different projects. You could do that by using the filters and manually selecting the users you need. To make this even simpler, in addition to the Group by Date option, we now have the Group by User option. 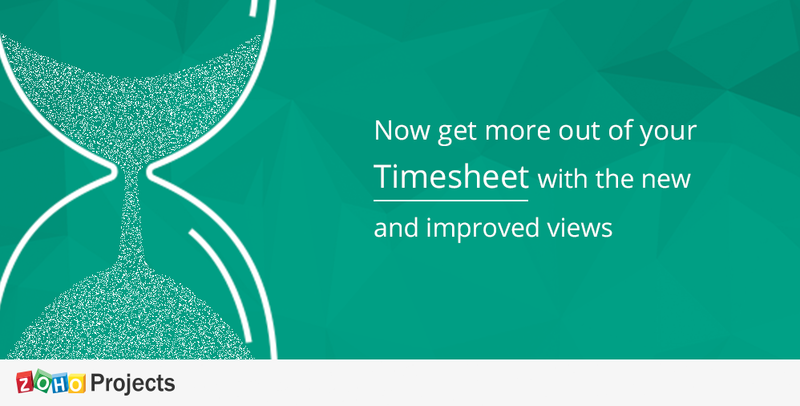 With this option, you get a view of the timesheet entries in all projects listed out user-wise. You can also filter the results to show only the users who have not logged time. In addition to the weekly, monthly, and daily view of entries, you now have the option to select a custom date range. If you wish to view the timesheet entries for a particular period, selecting the date range will do the job for you. You can now generate a report for the whole span of all your projects. 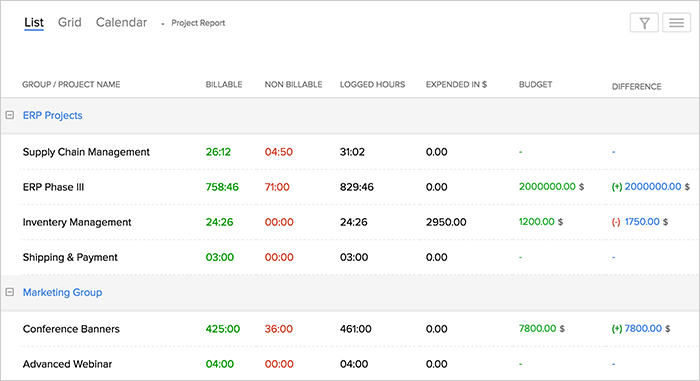 This will give you a view of how each of your projects is doing in terms of the logged hours, the budgeted amount, the invoiced amount, and the difference between the two. You can also create smaller, time range-specific reports by applying the appropriate filters. This is a timesheet report of all the client companies that have been associated with your portal. You can view the projects under each client company, how many hours have been logged for each, the budgeted and the expended amount. We have also made a couple of useful tweaks to our Calendar and Gantt charts. 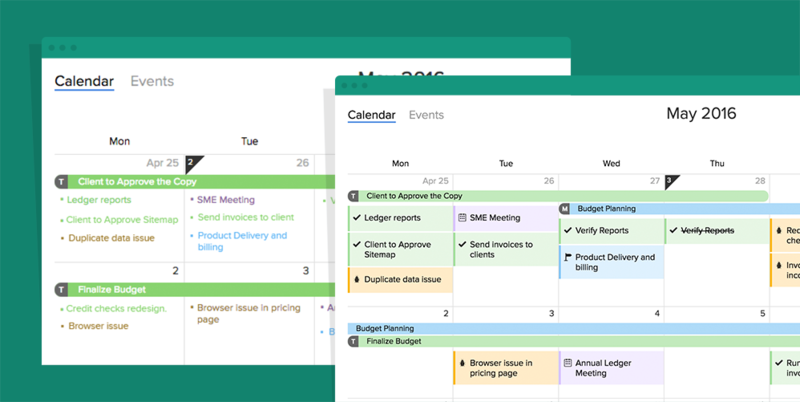 The Calendar gets a makeover with better color variations and icon representations. By default, the My Calendar and Gantt chart views display work items that only belong to you. If you are an admin or a manager who wishes to see work items of other users, you had to apply the filter to select the users you need. Now with our new enhancement, you can just close the “Me” filter to get a complete all users view. We will continue to shape our product to give you easier and quicker access to your project data. So what do you think about these changes? We are all ears. Let us know in the comments below.